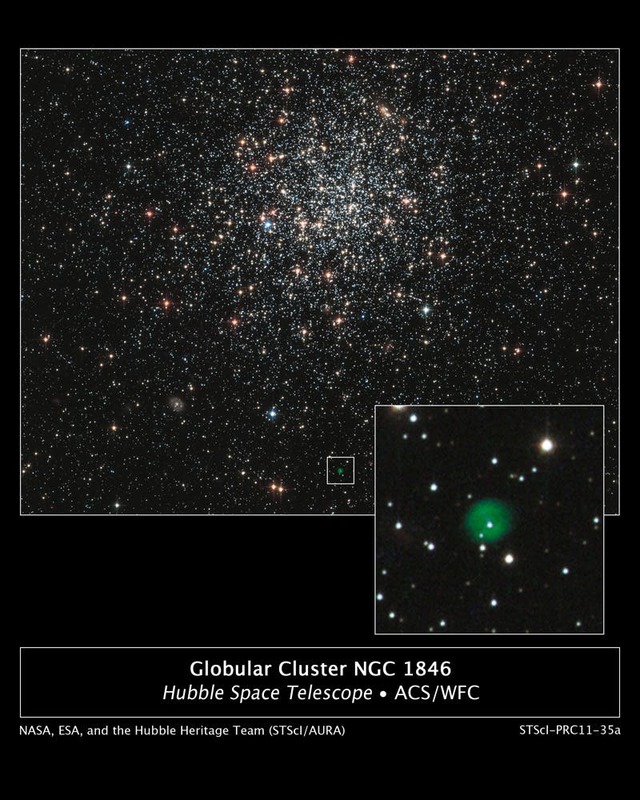 A new NASA Hubble Space Telescope image shows globular cluster NGC 1846, located roughly 160,000 light-years away in the direction of the constellation Doradus. The cluster is a spherical collection of hundreds of thousands of stars in the outer halo of the Large Magellanic Cloud, a neighboring dwarf galaxy of the Milky Way that can be seen from the southern hemisphere. The most intriguing object, however, doesn't seem to belong in the cluster. 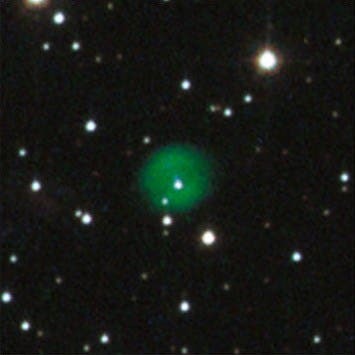 It is a faint green bubble in the white box near the bottom center of the image. This so-called "planetary nebula" is the aftermath of the death of a star. The burned-out central star can be seen inside the bubble. It is uncertain whether the planetary nebula is a member of NGC 1846, or simply lies along the line of sight to the cluster. Measurements of the motion of the cluster stars and the planetary nebula's central star suggest it might be a cluster member.